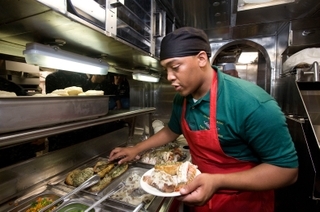 NEWPORT NEWS, Va., Aug. 3, 2009 (GLOBE NEWSWIRE) -- Northrop Grumman Corporation (NYSE:NOC) reached a milestone in the life of the newest Virginia-class submarine, New Mexico (SSN 779), as the crew began moving aboard and ate the first meal prepared in the ship's galley on July 28. The ship's construction began March 2004 and the keel was laid during a ceremony held April 12, 2008. New Mexico was christened on Dec. 13, 2008 and launched on January 22, 2009. The commissioning date has been set by the Secretary of the Navy for Nov. 21, 2009. For more information about Virginia-class submarines, please visit http://www.sb.northropgrumman.com/vcs/.